"An actor, writer and a sports enthusiast"
Over 300 films, numerous TV shows, authored books and of all his accomplishments, one of the first things that he will be remembered forever was for being that interesting interviewer of 'the master' Sachin Tendulkar in his first ever TV interview. And that’s Tom Alter. 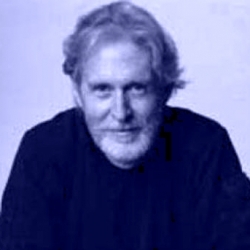 As a third generation American, Tom Alter was born in Mussoorie, Uttarkand in India who studied at Woodstock School in the Himalayas and then briefly at Yale University in the USA. He returned to India in early 70s and got himself enrolled in at the prestigious Film and Television Institute of India in Pune. Two years later he graduated with a gold medal diploma in acting, and with that started his illustrious career in films. With a dream of becoming a Rajesh Khanna, Tom entered Bollywood and got his first break in the Dev Anand starrer Saheb Bahadur in 1977 directed by Chetan Anand. He went on to act over 300 films. His journey as an actor took him all the way to act in a Hollywood movies such as One Night with the king with Peter O’Toole and in Gandhi. His passion for acting made him a stage actor too and his stint as a theatre artist was commendable. In 1977 he along with Naseeruddin Shah and Benjamin Gilani formed a theatre group called Motley Productions. Their first play was Samuel Beckett’s play Waiting for Godot, which was staged at Prithvi Theatre, Mumbai. Tom stamped his presence in TV too.  He did numerous roles on TV series. One such memorable role was of the sadistic mob lord Keshav Kalsi in the long-running Junoon. Tom Alter as a writer has penned books that include The Longest Race, Rerun at Rialto, and The Best in the World. He was also a sports journalist with a special interest in cricket, a game on which he has written extensively in publications such as Sportswear, Outlook, Sunday Observer, Cricket Talk and Debonair. He also did Cricket commentary in Hindi for ESPN. Tom Alter will always be remembered for the different roles that he donned and the legacy that he left behind be it in films, in TV, theatre or in writing... he will always be missed. This is a SoulPrints tribute to Padma Shri Tom Alter.